A business leader with three decades of experience. Through her career Denise has held board appointments, chief executive, strategic consultant and analyst positions across multiple sectors and industries. Denise is an executive level coach driven by performance and strong leadership values, with an ability to quickly determine core business concerns and identify opportunities and challenges. Denise achieves results by drawing from her technical skills and flair for understanding people and motivation toward the creation of harmonious solutions. Denise is known for her capacity to analyse situations, clarify issues, engage stakeholders and deliver change. During her career Denise has played a key role in strategy development and implementation, business transformation, market and brand repositioning and organisational restructuring. Denise has Degrees in Economics – with Honours in Government and Business Administration from Sydney University and the AGSM. Graduate qualifications in governance from the AICD and INSEAD. 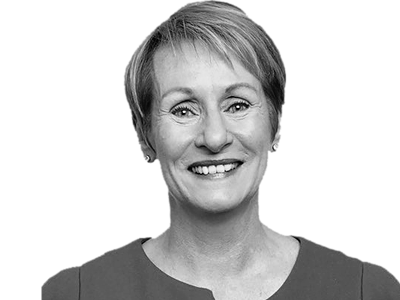 Denise is a Fellow of the AICD and a member of Women on Boards and the St. James Ethics Centre. Denise is an Honorary Fellow of the University of Sydney.